By Adrienne Rivera. May 14, 2016. 9:00 AM. Colfer published several books in the late 1990s in Ireland, all of which achieved moderate success. It wasn't until Colfer showed his wife Jackie the finished manuscript of Artemis Fowl that he realized he had written something exceptional. 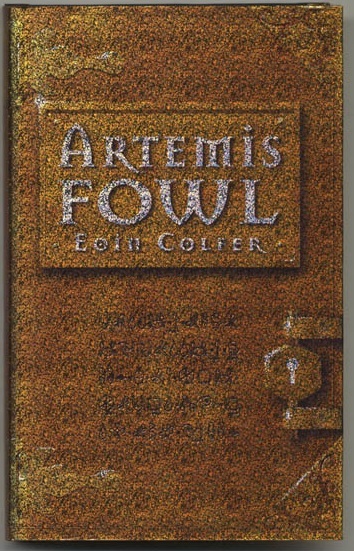 Jackie and his four brothers convinced him to pursue publication outside of Ireland and by 2001, Artemis Fowl was being hailed as the next Harry Potter, and Colfer was able to take his $50,000 advance, quit teaching, and devote himself entirely to writing. The Artemis Fowl series focuses in on twelve-year-old Artemis, a criminal mastermind, who, using research and careful deduction, discovers the existence of fairies and other supernatural creatures. Colfer himself describes the series as being sort of a “Die Hard with fairies”. Using the knowledge he obtains, Artemis kidnaps a fairy, LEPrecon officer Holly Short, and holds her for ransom. Artemis Fowl, while the villain in the first novel, is an anti-hero who through the course of the series becomes more and more good, eventually saving the world. His four brothers appear as quarrelsome goblins in the series which concluded with its eighth novel in 2012. To date, the first three books have been adapted to graphic novels, with adaptations planned for each subsequent novel. Disney is currently adapting the first two novels into a film to be directed by Kenneth Branagh. In addition to his Artemis Fowl series, Colfer has written the first in a planned series, Half Moon Investigations (which was adapted into a television series by the BBC), the W.A.R.P. series, the Legends series, and several children's books and stand-alone novels. He wrote the screenplay for the Irish film Poison Pen, which premiered at the 26th Galway Film Fleadh. Over half of Colfer's novels have appeared on best sellers lists. 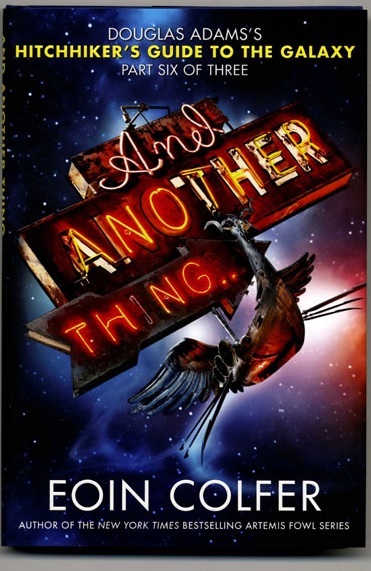 Besides his Artemis Fowl novels, Colfer is perhaps best known for writing the sixth book in Douglas Adams' The Hitchhiker's Guide to the Galaxy series, And Another Thing. Before his death, Adams had expressed a desire to write another book in the series, commenting that the fifth book had ended things on a rather sad note and that he felt it would be more fitting that he write a sixth to end the story in a more positive and humorous way. With Adams' widow's blessing, Colfer did just that for the thirtieth anniversary of the publication of The Hitchhiker's Guide to the Galaxy. The book was met with mixed reviews. Some reviewers lamented the fact that another author had attempted to recreate the magic of the original series, while others praised Colfer's ability to work within Adams' unique style and continue on with much beloved characters in a landscape long famous for its heart and humor. And Another Thing, much like its Adams-penned predecessors, was adapted into a radio production for the BBC.